A remarkable neo-classical building located in the Navarchon Square. 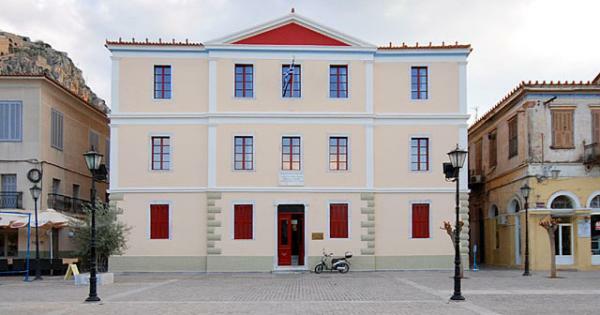 It was built to house the first high school in Nafplio, which was founded in 1833, then the pharmacy of Bonafin Boniface, where, according to tradition, Kapodistrias was embalmed. Just further is the monument of Otto.